When Kayla Was Kyle supports social action and anti-bullying curriculum in K-8 classrooms! Speaks directly to the LGBT issues in gentle accessible language and playful illustrations. Helps students improve their empathic skills and reinforce community spirit. Shows students how to create safe schools with respectful language for all. Includes students in social action projects based on Kayla’s story. 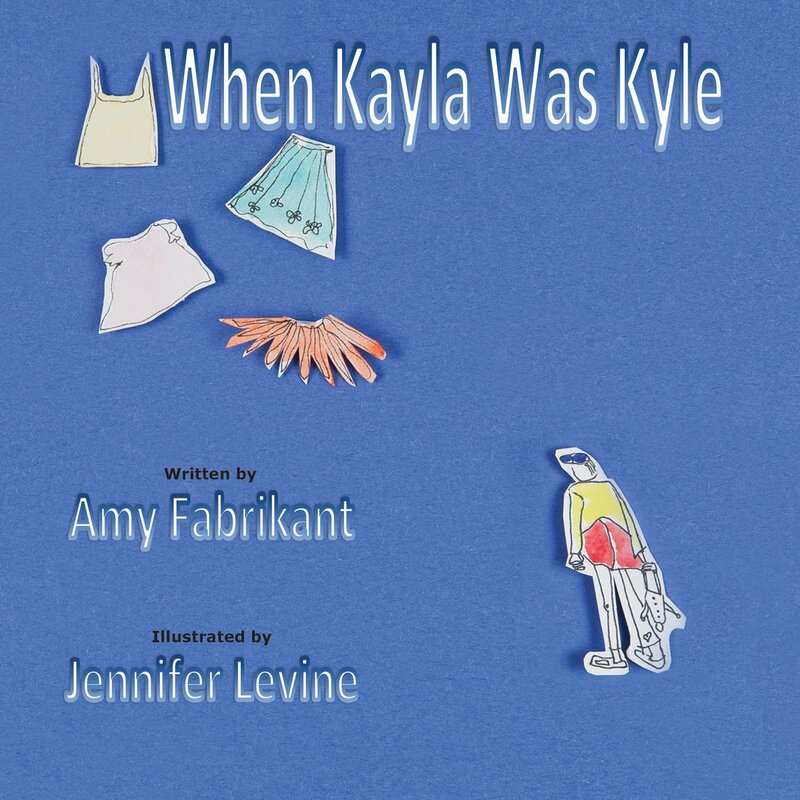 Listen to Amy Fabrikant's interview on NPR, talking about the story of Kayla – and her struggle to become her true self. Amy shares how the first publisher she worked with told her the book would never sell unless the characters were ducks! I am very happy to share with you my book, When Kayla Was Kyle. It introduces children to the idea of gender diversity with friendly, gentle language and playful illustrations. When I first started writing, When Kayla Was Kyle, publishers told me that the world didn’t need or want a book about a transgender child. They wanted the characters to be ducks or dogs? It’s possible that transgender ducks and dogs exist, but is that a book the world really needs? When Kayla Was Kyle is based on the real experiences of transgender and gender diverse children. Now is the time to end the shame. Sadly, there are thousands of students who are not able to express their gender diversity. 91% felt deliberately excluded or “left out” by peers. 86% had mean rumors or lies told about them. 57% experienced electronic harassment or “cyberbullying”; and 46% had property (e.g., car, clothing, or books) deliberately damaged and/or stolen. Some of you may have heard me speak at a safe school training on gender diversity. These discussions help empower school communities to reflect on strengths and weakness of diversity policies and create positive cultures where there is responsible talk around diversity. When Kayla Was Kyle offers language and story for those trying to understand the LGBTQ kids. It raises the issue of equality and diversity and often leads to peer advocacy. Please join me in the human rights campaign to support gender diversity. Amy Fabrikant is a writer, literacy coach, and LGBTQ safe school consultant. She has worked with kids in schools for over 30 years and is the author of parenting and school-based advocacy articles. Professional development opportunities for administration and faculty on anti-bullying curriculum that speak directly to LGBTQ issues. Age appropriate school based assemblies. 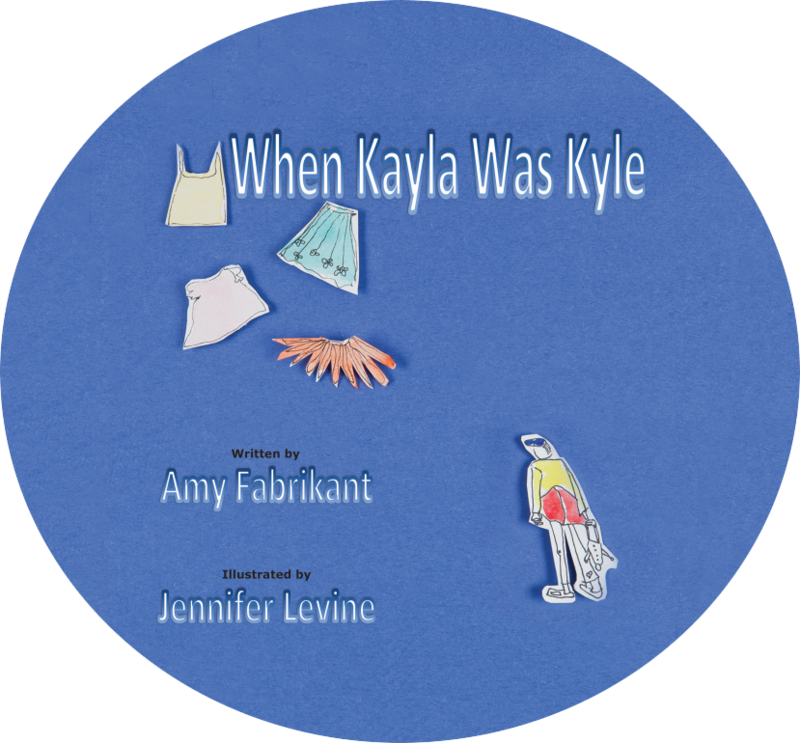 Theatrical presentations of When Kayla Was Kyle, featuring Jenn Levine, illustrator of When Kayla Was Kyle, and Scott Massarsky, song writerμsician. Kyle doesn’t understand why the other kids at school call him names. He looks like other boys, but doesn’t feel like them. Can Kyle find the words to share his feelings about his gender – and can his parents help him to transition into the girl he was born to be? When Kayla Was Kyle is a picture book children of all ages will want to read because it addresses the increasingly emerging ideas around Gender Diversity.